I came to this dealership to pick up a friend of mine who had her car serviced here. The dealership seemed a little small and cramped, otherwise, nothing else really stood out as a negative for me. 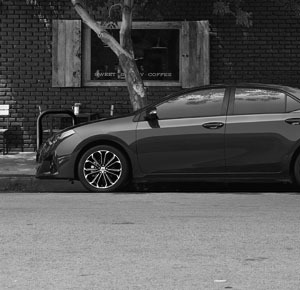 I had my Toyota Prius C serviced at Toyota Santa Monica this past weekend, and Timothy Collins - the service provider for my appointment - was super helpful! Timothy made sure that my car was all taken care of and it only took about an hour for an inspection and oil change. 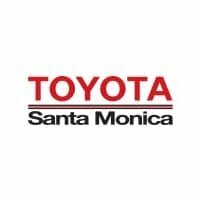 Thanks so much for the help, Timothy, and everyone at Toyota Santa Monica! See you in a few months for more service! Brandon Donis was quite pleasant and informative. He told us our car would be ready in 1.5 hours, then texted us after 45 min that it was complete. When we arrived, he was smiling and sent us to Cashier to finalize the process. Very pleasant experience overall. Took my car in to fulfill some outstanding recalls. Juan took me through everything that was going to be done, why it was necessary and how long it would take the technicians. 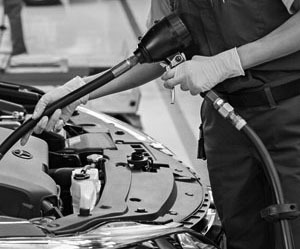 Juan was a technician before this role and was extremely knowledgable, also very honest about an issue that may arise because of the recall work and even more issues they found in the process. Because they only use Toyota parts the costs can be up to 10x what an aftermarket part costs, and he let me know exactly what I needed to tell my trusted auto shop in order to get these issues fixed using aftermarket parts (lower quality/lifespan, but on an 11 year old car it might not make sense to pump $1,500 into a fix when my mechanic can get it done for $300). 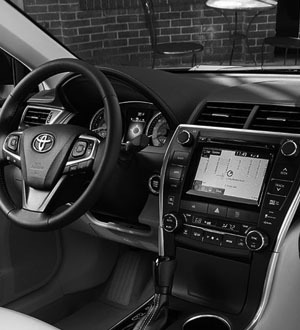 They know that their service center is going to be the best choice as far as knowledge and parts goes, and I appreciated the honesty as I try to milk the most lifespan out of my rav4 that's got 180k on the odo. Not going to lie, was very weary of bringing my car to Toyota because I know they'll charge way more than my mechanic, but had nothing but a great experience working with Juan and will definitely take my car back if a really specific issue to my car arises. 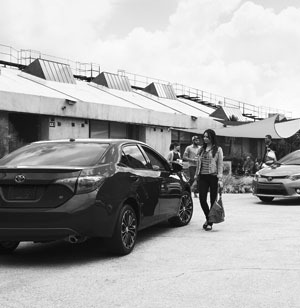 At Toyota Santa Monica, we pride ourselves on being a leader in the world of hybrid technology, and we’re always looking for ways to make eco-friendly vehicles accessible to more people. That’s why we’re thrilled that our Toyota dealership serving Los Angeles will be among the first to offer the 2017 Toyota Mirai: Toyota’s all-new Fuel Cell Vehicle (FCV) that’s slated for availability later this year.